Þjóðkell raised this stone in memory of Tófi, his kinsman-by-marriage. 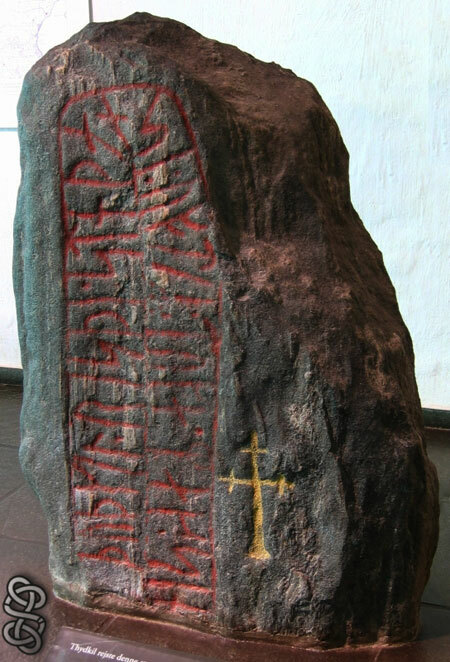 Yet another rune stone is standing in Moesgård Museum, and yet another photo that I got from Ogneslav.... Thanks !